Monday TV: What’s Next for Cuba? Days after the death of Fidel Castro comes two previously scheduled documentaries on the future of Cuba. In Platz Lopez Garmendia’s “Cuba, Fatherland or Death” (HBO, 8 p.m.), executive produced by Julian Schnabel, artists and activists discuss what’s coming for the island nation. 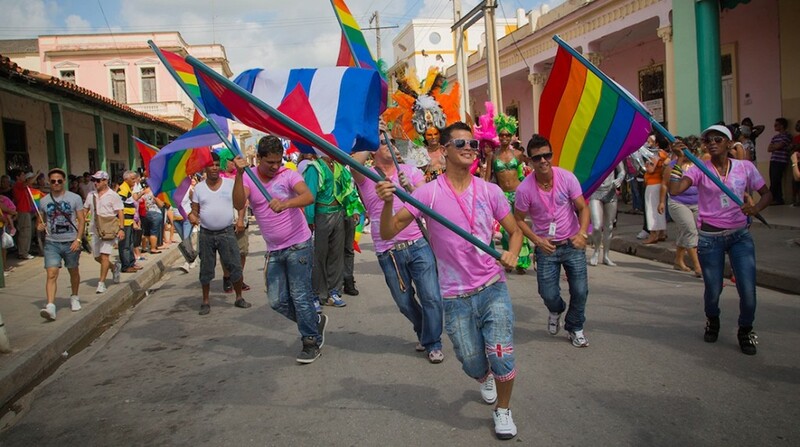 It’s followed by “Mariela Castro’s March: Cuba’s LGBT Revolution” (HBO, 9 p.m.) in which Fidel’s neice’s struggles to bring diversity and acceptance to the National Assembly. A holiday special with a twang in its tinsel, “CMA Country Christmas” (ABC, 8 p.m.) features Jennifer Nettles, Loretta Lynn, Trisha Yearwood, Kelly Clarkson, Sarah McLachlan, Amy Grant, Andra Day, Idina Menzel and Kelsea Ballerini performing from the Grand Ole Opry. The Flash visits “Supergirl” (The CW, 8 p.m.) to kick off a big crossover thing. It’s an even Top 10 on “The Voice” (NBC, 8 p.m.). Jane takes Mateo to church on “Jane the Virgin” (The CW, 9 p.m.). The crew is still trying to find shelter on “Mars” (National Geographic Channel, 9 p.m.), where some of its experts also appear on “Mars: The Secret Science” (Science, 9 p.m.). On “People of Earth” (TBS, 9 p.m.), Ozzie and Father Doug hang out. A virus spreads on “Gotham” (Fox, 8 p.m.). Oscar and Felix need a counselor on “The Odd Couple” (CBS, 8:30 p.m.). “Timeless” (NBC, 10 p.m.) returns to the first moon landing. A kidnapping case consumes “Conviction” (ABC, 10 p.m.). On the season finale of “Teen Mom OG” (MTV, 9 p.m.), Amber gets plastic surgery. The Turner Classic Movies showcase of documentaries continues with Les Blank’s 1978 New Orleans documentary “Always for Pleasure” (8 p.m.), “Bombay Beach” (9:15 p.m.), the classic “Grey Gardens” (11 p.m.), “Crumb” (1 a.m.), “Burden of Dreams” (3:15 a.m.) and “Hollywood Without Make-Up” (5 a.m.). Monday Night Football has Green Bay at Philadelphia (ESPN, 8:15 p.m.). Men’s college basketball includes Kentucky vs. Arizona State (ESPN2, 7 p.m.). Pro basketball includes Boston at Miami (NBA, 7:30 p.m.). In hockey it’s Dallas at St. Louis (NHL, 8 p.m.). Kelly Ripa: Felicity Jones, Travis Fimmel, Billy Eichner. The View: Sarah Jessica Parker. The Talk: Kit Hoover, Reba McEntire. Harry Connick: Alfonso Ribeiro, Martha Plimpton. Ellen DeGeneres: Helen Mirren, James Marsden, the Weeknd. Wendy Williams: Blair Underwood, Jeezy. The Real: DJ Mustard. Stephen Colbert: Michelle Obama, America Ferrera (rerun). Jimmy Kimmel: Jessica Chastain, Hunter Hayes, Willie Nelson, Justin Moore (rerun). Jimmy Fallon: Ice-T, Alexis Bledel, David Gray. James Corden: Matt LeBlanc, Jeffrey Dean Morgan, Lady Gaga (rerun). Carson Daly: Kylie Bunbury, III, Ismo Leikola (rerun). Trevor Noah: Ryan Speedo Green. Conan O’Brien: Joel McHale, Kate Mara, Alice Westerlund.